Farms are not made solely of soil and crops; many also produce what are known as "value-added" products like salsas, sauces, flours or packaged goods that give the farmer additional revenue streams in addition to fresh produce. Ayers Creek Farm dries its corn for popcorn as well as grinding it for polenta, extending the season (and income) beyond the harvest. Here, contributor Anthony Boutard describes how they produce their (insanely) delicious preserves, as well as announcing the end of their blackcap preserves, which Carol Boutard and I came very close to producing as part of a line of food-oriented sexual aids. (Yes, it's that good.) Also, at the end of this post note Anthony's announcement of farm store days coming up this weekend, December 1st and 2nd. 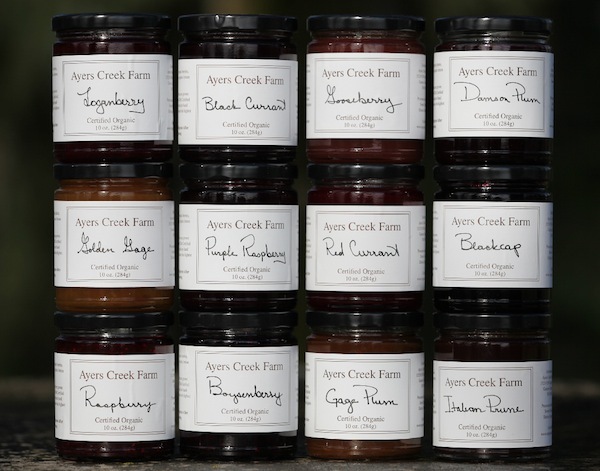 About ten years ago, we were approached by a specialty food company that wanted to carry our preserves. After a lot of flattery, they asked us what about our wholesale price, then they asked what our price would be if we upped our production. We carefully explained that with a small run of preserves, there is no point at which they are cheaper to produce. All of our costs are per the jar; there are no variable costs at this scale. We explained that we are farmers who happen to make a few preserves, and are content to keep it at a scale where we don’t have to cut corners. For example, we could make cheaper preserves by adding pectin which would double the number of jars per pound of fruit, using frozen lemon juice instead of hand squeezing the lemons on the day of production, or buying machine-harvested fruit. 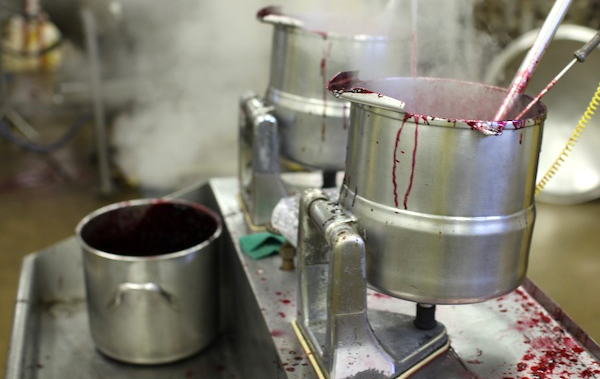 We will leave that sort of production to professional preserve-makers, happy to defend our amateur status. A wide selection (see complete list below). This year will mark the last of the blackcap preserves. The raspberries as a group are tough to grow on a commercial basis as they are prone to a bevy of root diseases. 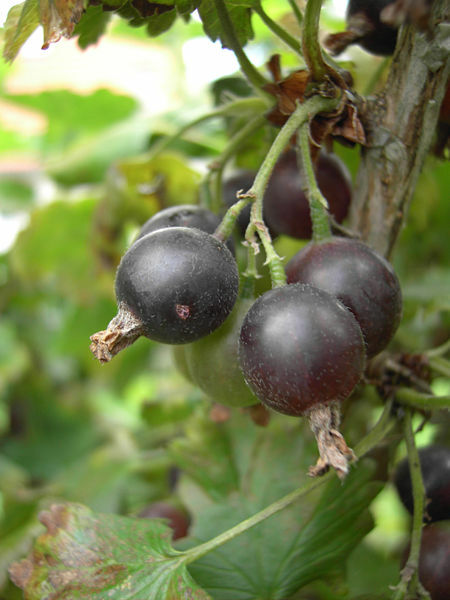 Blackcaps and purple raspberries generally fall apart after four or five years, other varieties hang on a bit longer. By comparison, our oldest Chesters were planted in 1993 and are still going strong. This autumn we plowed the blackcap plants under and prepared the land for other crops. It was our third planting and, with a measure of sadness, we have decided against planting more. With increasingly uncertain weather and high establishment costs, it is no longer a wise investment. We will have a few jars of crabapple jelly this week. It is a lovely, subtle jelly that was once the domain of patient, elderly sorts, and one of Anthony’s odd fixations. Paul Fuller and Carol Boutard in production at Sweet Creek Foods. In 2017, early stone fruit was shy due to rain and frost during bloom. Too few to even bother harvesting for preserves. A relatively dry and mild spring this year allowed us to bring back green gage, golden gage and tart cherry preserves. The lack of any temperature spikes in June and July along with cool nights assured high quality currants and berries. Winemakers will rattle off their favorite years when everything seems to fall into place. It is no different with other sorts of fruit, though without the attending cachet. Good thing, too. We would hate the thought of people asking if we had any of the ’15 raspberry with its refined floral notes and delicate tannic finish. The Hungarian-type cherries (Balaton, Jubileum and Danube) are morello types, meaning they have a dark red juice rather than the clear juice of the Montmorency-type. Staff froze 210 pounds of the cherries in July. In the past, we have made preserves from a mixture of the Hungarian and Montmorency cherries, but this year we decided to try the single sort. 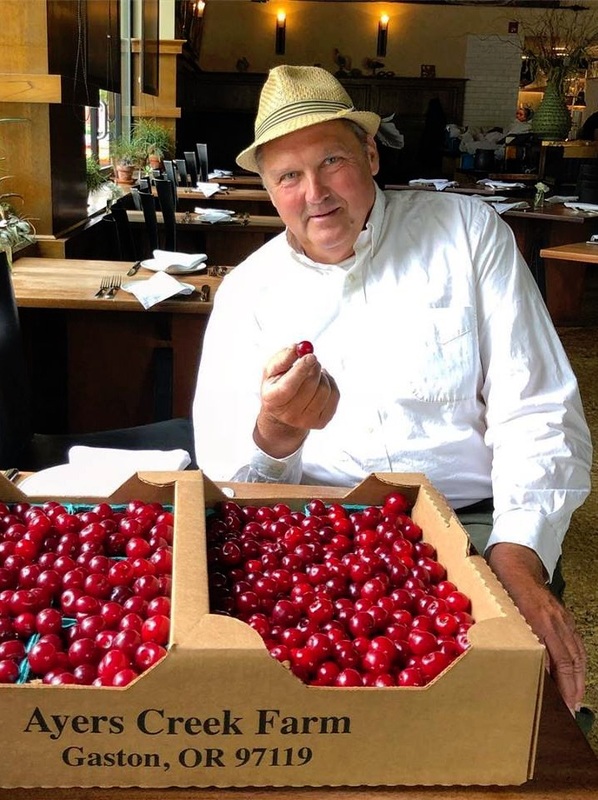 Anthony with his prized Montmorency cherries. In early November, the two of us pitted them, netting 164 pounds for processing. We have a fine cherry pitter collection, including an expensive stainless machine designed to pit 10 at a time. At the moment, we favor a cheap plastic sort that sits well in the hand. We take a few pounds out the freezer at a time, let them soften for 20 minutes or so, and then remove the pits. The pitter lasts for about 70 pounds and then something breaks. Even with hand-pitting, a few pits manage to find their way into the processed fruit. When we started cooking the cherries last week, we discovered the fruit wanted to float in the filler, so some jars had no fruit, just syrup, and others all fruit. Not good. Fortunately, Paul was quick on his feet and set up a hand-filling station. Linda Colwell, who had dropped by Sweet Creek simply to observe the process, was quickly handed a hairnet, gloves and apron, and pressed into service. Cherries are low in pectin relative to other fruits, so the set is quite loose. We have never added commercial pectin because it dulls the fruit’s character, as does longer cooking to concentrate the fruit. As with our other fruits, in cooking we only go to 222°F (105°C). Better bright and active than dull and sedentary is our operating principle. We are very happy with the resulting flavor. An excellent sauce on ice cream. The Hungarians were planted at the suggestion of Trillium Blackmer, who bought our Montmorency cherries at the Hillsdale Farmers’ Market. * One day Trillium wistfully noted that she really enjoyed Balaton cherries and she wished someone would grow them in Oregon. Her plea was compelling. At the time, nursery stock for the Hungarian-types was almost impossible to find. Balaton had been released only a few years earlier in 1998 and the cherries were unknown outside of Michigan. We tracked down a couple dozen at Cummins Nursery, a very small operation in Ithaca, New York. We ordered every tree available over the next couple of years. The Hungarian cherries are registered varieties and the royalties we paid on our trees went to fund fruit research in Hungary. Read Part Two, Inner Workings: Horseradish. *Ayers Creek Farm no longer attends the Hillsdale market. From Anthony: We are planning open days for the coming weekend, the 1st and 2nd of December. Our hours will be from 1 pm to 4 pm. As a reminder, we are strictly cash or check; we do not have the ability to process electronic payments. For those who find the journey out to the farm difficult or prefer the ease of electronic payments, World Foods' Barbur location and Rubinette Produce carry robust selections of our beans and grains. 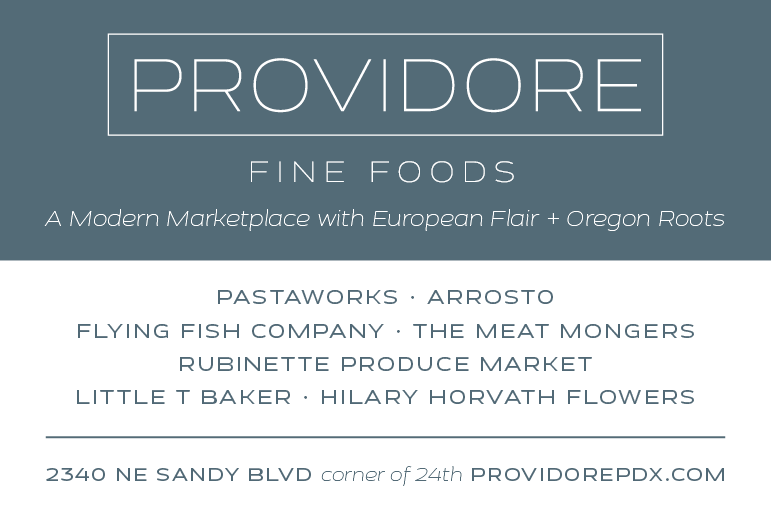 Pastaworks, which has carried our preserves since our first run in 2005, has a complete selection of our preserves at its City Market and Providore locations. We will have a full selection of preserves, beans, and grains, as well as chickpeas, mustard and other odds and ends. We will have family-sized beets, horseradish, melons, tomatillos, spuds, big white onions and other stuff. Our selection now includes: Loganberry, Boysenberry, raspberry, golden gage, green gage, Italian prune, Veepie grape, blackcap, red currant, black currant, jostaberry, damson, tart cherry, quince jelly, crabapple jelly (available only at the farm). 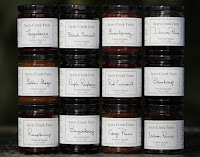 Ayers Creek Farm can be found at 15219 SW Spring Hill Rd., Gaston, Oregon, 97119.